do you know the story behind this 'funny' song that usually has us all tongue tied before we get to the end? i can't keep my drummers straight, my maid a'milking or my lords a'leaping.... much less remember where i put my five golden rings! however, i thought it might be fun to explore some of the meanings tucked within these lyrics as well as do some hunting for 12 days of knitting patterns that would make for some fun stocking stuffers or extra 'prizes' to share with family and friends. 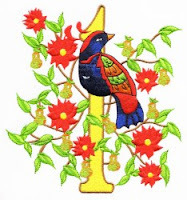 the premise behind the Twelve Days of Christmas is that it was originally designed as an easy way for young Christians to remember the tenets of their faith. At a time when things couldn't be written down for fear of punishment, these verses helped to solidify each element and belief that their young hearts were surrendering to. Sources actually swing both ways as the true validity of this option - catecism versus urban myth, but none-the-less, if you think of the songs "gifts" as representing specific foundations that a Christian believes in and with each verse a new layer of 'learning' is tucked within their hearts to draw strength and encouragement, you may sing this song during the season with a new appreciation and perspective. Did you know that the Partridge was a picture of Christ? He truly is THE gift of Christmas and without Him there would be no celebration of any other day. Consider that 'my True Love' is a picture of our Heavenly Father who is showering gifts of on us as believers because of His great love for us. 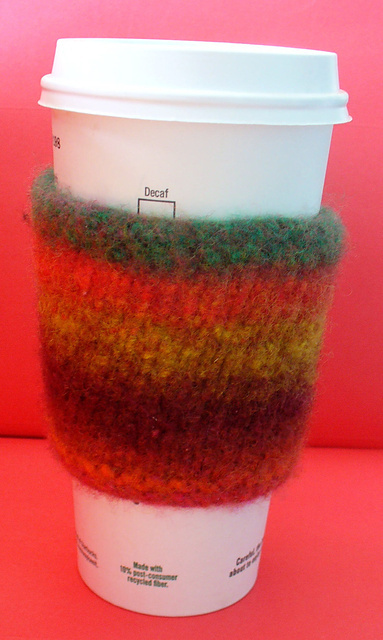 If you have an Iced Coffee/Tea drinking friend, why not consider using your cotton to make a Cup Cozy that would be absorbant and save their workspace from all those annoying water rings? or . . . Ever wanted to try your hand at felting but were to nervous to venture into "that" world? What about all those little balls of wool left overs that you just can't bear to part with because you 'just might need a little piece' for something? Well - - here's what you've been saving and stashing for . 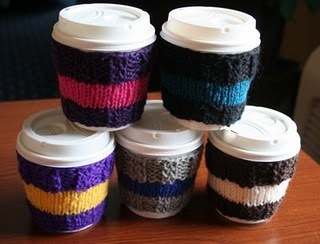 . . why not consider making several of these, slipping them over a cup and including a gift card to their favorite coffee shop? These would make great teacher gifts ..... special Thank-You's to those friends that need a little "prize" in their day .... and a great way to sit and share the Gift of Christmas with someone who's heart means the world to you ... and to HIM! Do you know your combination? on the 8th day of Christmas . .
on the 6th day of Christmas . .